Fall in Irvine is a wonderful time of year. Though we might not be experiencing sweater weather just yet, we still celebrate the season with festivals, harvest, and plenty of spooky fun. From picking pumpkins to frightful nights, here is your 2016 guide to Halloween fun around Irvine. Now through October 31st Irvine Regional Park is filled with Halloween fun. 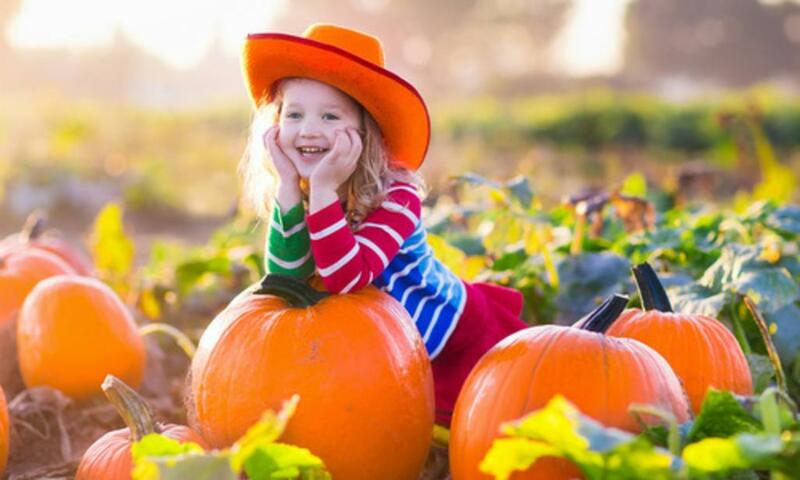 Highlights include a pumpkin patch, not-too-scary haunted house, hay maze, Halloween-themed activities, hay rides, John Deere racers, and the ever popular Irvine Park Railroad train. OC Zoo, located inside Irvine Regional Park, will have a Halloween Animal Art toddler program from 10-11:15am on October 5, 11, 13, 19 and 21. The educational program will feature crafts and up-close encounters with zoo animals. Additionally, the zoo will be hosting a Halloween Zoo-tacular on October 29th from 10am-4pm. This fun event will include a scavenger hunt, games, crafts, and trick-or-treating. Zoo animals will received their own teat-filled pumpkins and it is always entertaining to watch them enjoy their treats. The first 100 children dressed in costume will receive a free gift. Pumpkin patch season begins at Tanaka Farms on September 29 and continues through Halloween. This family-owned farm is the perfect place to pick your own pumpkin right off the vine. Families love the wagon ride around the farm, picking seasonal veggies, saying hi to the critters at the petting zoo, and wandering through the corn maze. During weekends the farm features a Fall Harvest Festival which includes food, carnival games, and the ever-popular pumpkin cannon. The Halloween spirit is in the air at Pretend City, Irvine&apos;s children&apos;s museum centered around learning through play. Costume Week takes place October 24-30 and children are encouraged to dress up in their favorite disguises. Those who dress up will be rewarded with 25% off their 2nd admission. On October 30th Pretend City will be celebrating a Healthy Halloween . The Serving Kids Hope organization will be on site to share fun tips and tricks to keep kids eating healthy. On October 31st, Pretend City will host a trick-or-treat extravaganza. Highlights include a Halloween Bug Bash and various trick or treat stations through the city. The OC Great Park is full of FREE Halloween fun October 15, 16, 22, & 23 during the Great Park Spooktacular Fundays. This event takes place from 9-1pm and features fun games, crafts, treats, shows, bounce houses, and a pumpkin patch. Festival attendees are encouraged to bring non-perishable food items to benefit local food banks. Advance registration is required for this popular event. For the 17th year, the 16 Goldenrod in Irvine is transformed into Boot Hill, a haunted Old West town. The legend of Bridgewood and Jedediah Smith lives October 14, 15, 21, 22, and 28-31st from 6:30-10:30pm. This spooky experience is free but donations are accepted and proceeds with be given to CHOC, Children&apos;s Hospital of Orange County. Photo courtesy of Bigstock/famveldman .